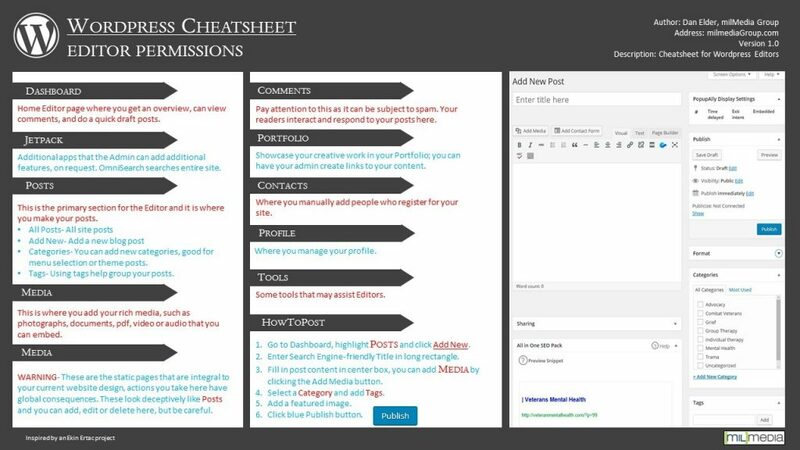 We repurposed a useful cheat sheet for our WordPress customers to quickly identify the buttons and features available to them with Editor permission. Everything you see here, from the documentation to the code itself, was created by and for the community. WordPress is an Open Source project, which means there are hundreds of people all over the world working on it. (More than most commercial platforms.) It also means you are free to use it for anything from your recipe site to a Fortune 500 web sitewithout paying anyone a license fee and a number of other important freedoms.